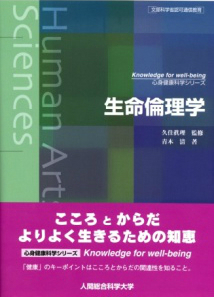 This edition sets out knowledge for wellbeing, based on the notion that human beings are in a constant state of change, from birth to illness, old age and death. Other topics covered include mental health and health promotion. 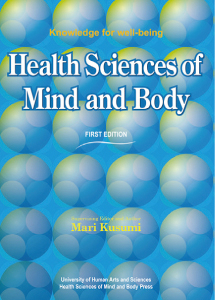 It is designed to be a comprehensive guide to health sciences of mind and body, extending beyond the conventional field of health sciences to include areas such as brain science, immunology, cognitive science, gerontology, women&apos;s studies and stress. This edition looks at stress, which is inextricably linked to modern living and changes in society, and examines the causes of stress in the modern world. Based on the latest advances in brain science and biological responses to stress, theaim is to establish a comprehensive overview of stress and an understanding of how stress works. This edition covers everything from stress mechanisms to psychological, physical and integrated approaches to dealing with stress. Amidst growing calls for a holistic approach to medicine, mental and physical medicine is of crucial importance. In recent years, psychosomatic conditions and related mental disorders have started to be linked to peoples health and health problems. 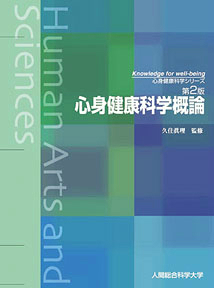 Touching on subjects such as the new health theory of salutogenesis and issues with positive living, this is a specialist textbook focusing on mental and physical medicine with the aim of promoting a practical approach to well-being. in an effort to explain diagnosis and treatment techniques to help maintain a healthy body and mind, covering subjects such as interpersonal behavior, social behavior, behavioral science and psychosomatic medicine, and behavioral science and behavioral medicine. With extensive coverage of areas such as salutogenesis, which offers a fresh approach to health science, and new types of mental and physical disorders, this edition examines behavioral science on a broad basis. Where did humans come from? How far have we come? And where are we heading? The field of life sciences has come up with various answers to these questions, from the latter part of the 20th century and into the 21st century, and continues to do so today. 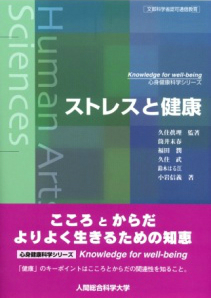 Focusing on the nature of life, this edition starts with basic topics such as the structure of the human body and units of life, before moving on to human evolution and the origins of life, gender and reproduction, and sexual differentiation in the brain. 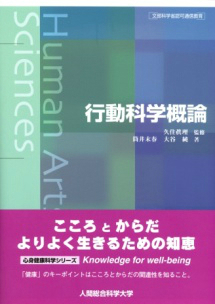 This textbook also features simple explanations from leading experts on the male and female brains. Advances in medical technology, in areas such as cloning, the human genome, genetic technology, prenatal diagnosis and stem cells, continue to provide us with a better understanding of human life. This has also resulted in an increasing focus on respect for human life and personal issues such as self-determination and self-responsibility. This edition provides a broad overview of essential bioethics for modern-day living. In order to lead a healthier life, the first thing you need to do is to know your own body. 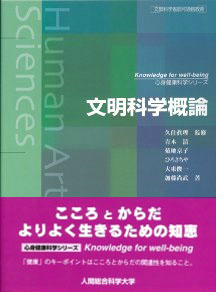 The purpose of this edition is to provide an overview of the human body, so as to establish an understanding of the relationship between the body and mind. 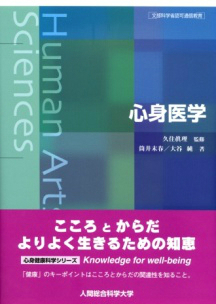 As bodily functions are regulated by a complex network of factors, this edition starts by explaining the normal structure and functions of each part of the human body and aims to establish an understanding of the inextricable link between physical and mental health. This edition aims to throw light on some of the problems posed by modern culture. 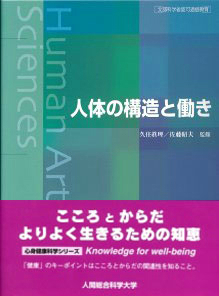 In addition to the development and evolution of the brain, human specificity and other aspects of natural anthropological human evolution, it also covers cultural anthropology, with the aim of structurally validating culture created and developed by humankind to date, and aspects of religion, science and technology, which remain the exclusive domain of humankind. 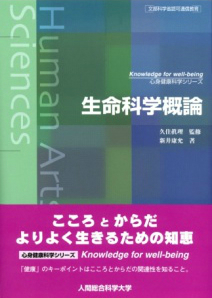 The result is a textbook that provides an overview of humankind, culture and civilization, spanning a wider range of areas than has ever been possible through the conventional study of culture and civilization.